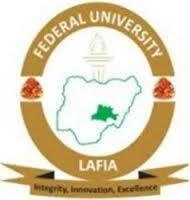 Federal University Lafia [FULAFIA] UTME Admission List for 2018/2019 Academic Session Uploaded Online. This is to inform all the candidates that applied for the Federal University Lafia (FULAFIA), Nasarawa State 2018/2019 academic session admission and participated in the Post UTME screening exercise, that the management of the institution has released the list of candidates admitted into the university’s various DEGREE programmes. Kindly log on to FULAFIA admission status checking portal via www.putme.fulafia.org. All admitted students should note that screening commences on Monday 29th October 2018 to Monday 12th November 2018. You are to come along with your original credentials for screening..